1.5 storey Factory facing main road, Taman Bidara. 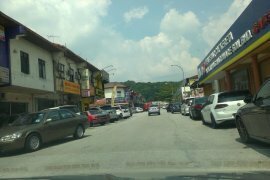 Shop lot facing main road, Kampung Dato Lee Kim Sai. Office for rent, Accentra Glenmarie. Office for rent, SS15, Subang Jaya. (WTR) SEMI FURNISH PELANGI DAMANSARA CONDO,NEARBY MRT. 4 Bedroom Fully furnish unit Cyber Heights Villa, Cyber Jaya. Basic unit at Kenanga apartment, Taman Tun Teja. Basic unit at USJ One Condo, Subang Jaya. (WTR) PELANGI ASTANA CONDOMINIUM, PERSIARAN SURIAN. To Let Condominium (Service Residence) at Skypark, Bandar Putra Saujana, Jenjarom. NEAR LRT!! FULLY FURNISHED!!!!! @ RHYTHM AVANUE, USJ 19, SUBANG JAYA. (WTR) CHEAPER STUDIO PF TO LET AT NEO DAMANSARA, DAMANSARA. Basic unit at Sri Cempaka apartment, Bandar Puchong Jaya. (BELOW MARKET PRICE) Pelangi Damansara Condo, Kota Damansara. (WTR) 1Sty House Seksyen 4, Kota Damansara JLN CAMAR 4/10. Factory For Rent In Alam Jaya Industrial Park. House For Rent, Rumah Untuk Disewa, USJ 13, Subang Jaya. Eve Suite Next To KLCC KL Sentral line LRT station. (WTR)PELANGI DAMANSARA CONDOMINIUM, PERSIARAN SURIAN MRT/BUS. Fully furnish studio unit at Shaftsbury service apartment, Cyberjaya. NICE STUDIO FOR RENT NEO DAMANSARA, DAMANSARA PERDANA. 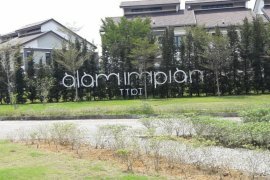 2 Sty Terrace House in Taman Segar Cheras Near Leisure Mall, Eko Mall. PJ8 Corner Penthouse Office Suite, Opposite PJ Hilton. Fully Furnished House For Rent In Chimes, Bandar Rimbayu. Hello, Please contact me, I am interested in properties for Rent in Selangor. Best Regards. Dot Property Malaysia is an online property portal where thousands of property searches happen every day. Start your search today for affordable property for rent in Selangor from 1,225 available listings. Condominiums, houses, townhouses, commercial space, and luxury properties are available for rent in Selangor. Selangor’s properties for rent are either listed by private home owners or property agents such as Accom Asia Co.,Ltd, brylle martinee and Deux Diaz. The average asking price for property rentals in Selangor is RM 2,249 for houses and RM 1,714 for condos. Refine your search to help you find the perfect Selangor property by price and number of bedrooms.